Standard Subaru Symmetrical All-Wheel Drive and 8.7 inches of ground clearance give the Outback SUV-level capability in a crossover package. The Outback also transcends its category with more versatility than you’d expect. The available height-adjustable power rear gate simplifies loading and unloading by opening the gate with a simple push of a button on your key fob or dashboard, while one-touch folding rear seats let you easily fold the seats down from the rear of the vehicle. Through and through, the Outback was built to help you get out and do more of what you love doing. 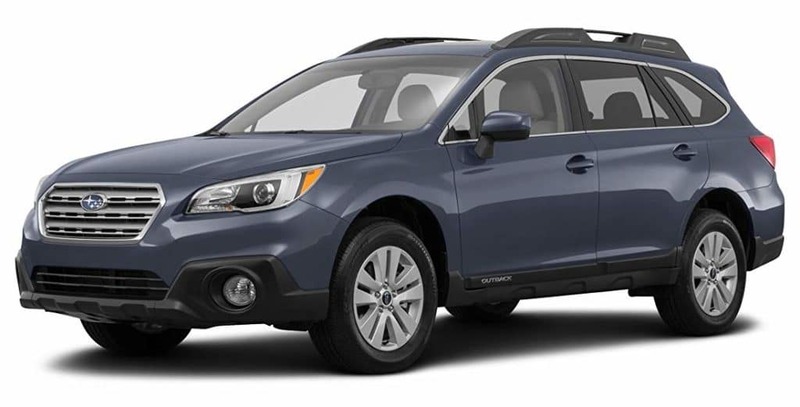 Whether you go with the responsive 32 highway MPG1 2.5-liter SUBARU BOXER® engine or the smooth and powerful 256-horsepower 3.6R, the Outback will surprise you with its get-up-and-go. With standard Symmetrical All-Wheel Drive and X-MODE® with Hill Descent Control plus 8.7” of ground clearance, you’ll never have to fear the road less traveled. The 2017 Subaru Outback is perfect for tackling those snowy and icy winters in Spokane. With standard 60/40 split-folding reclining rear seats, a surprisingly spacious 108.1 cu. ft. interior and an available power rear gate, the Outback is adventure-ready. Just pack up and go. The available 10-way adjustable driver’s seat with memory will keep you focused and content, while the supple-yet supportive reclining rear seats with 60/40-folding functionality provide first-class treatment for your passengers and cargo alike. Your Outback has more hands-free options than ever before, thanks to Siri® Eyes-Free integration and the available high-res touchscreen navigation system helps you find your way. Roof rails with integrated and retractable cross bars and tie downs come standard on the 2.5i, 2.5i Premium , 2.5i Limited, and the 3.6R Limited, while the Touring models feature low-profile roof rails with silver finish. So no matter what trim, you can transport all the toys you possibly can. To alert you of potential trouble and help you avoid it, there are a wealth of available features, including Blind-Spot Detection, Rear CrossTraffic Alert and the acclaimed EyeSight® Driver Assist Technology with Lane Keep Assist. 10-way power adjustable driver’s seat with 2-position memory. 4-way power adjustable front-passenger’s seat. 18-inch aluminum-alloy wheels. Dark gray with machine finish. SUBARU STARLINK™ 7.0″ Multimedia Navigation System with SiriusXM® Satellite Radio, Traffic® and Travel Link®. Includes three years of Map updates and SiriusXM® Radio.